Something I’ve been wanting to post for the past month. Rather enjoyed this illustration. Should have some new work up soon. This entry was posted on 08.23.2012 by Ryan M Paxton. It was filed under Artwork and was tagged with 2D, concept art, drawing, finished piece, illustration, pet zombie concept, pet zombies, photoshop, sketchbook, sketches, zombie, zombie artwork. 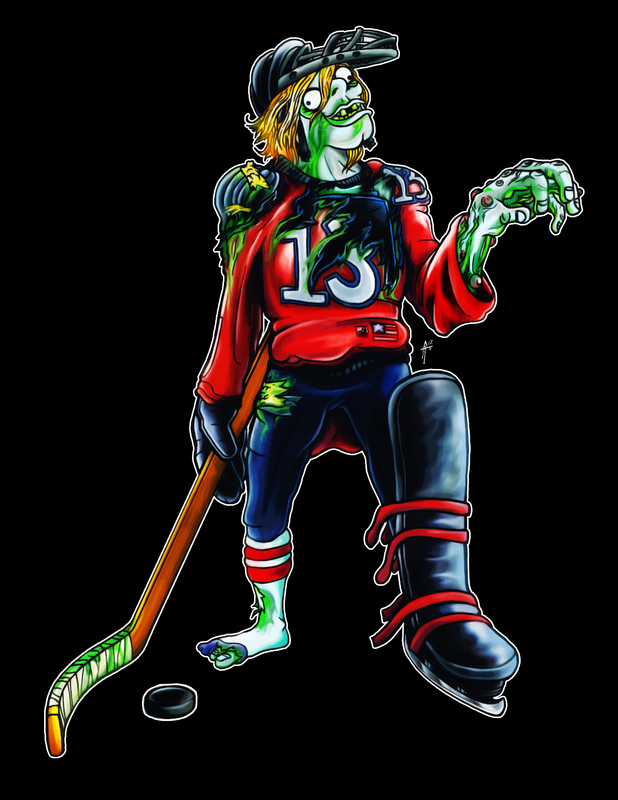 Zombie hockey…that I’d like to see. Maybe George Romero could take something with this illustration lol. Looking forward to your new content. How is life treating you these days pal?